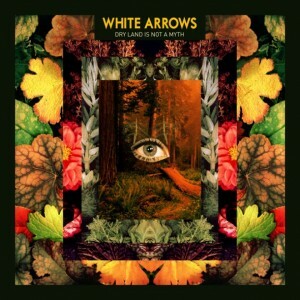 Some bands manage to get the timing just right, and as we move closer the official arrival of Summer it seems that White Arrows have arrived with their debut right on time. Dry Land Is Not a Myth is filled with an electronic influence that’s aimed more at dance floors than bedroom pop experiments; it’s best listened to at high volumes with a bunch of your friends. When you start off with “Roll Over” you can grasp at the live performance by White Arrows; the guitars are much more prominent, and the vocals unfold carefully, creating a bit of anxiety as the song builds towards the spastic chorus. But, the album doesn’t fully kick in until you’ve reached “Get Gone,” the following track on Dry Land Is Not a Myth. Here, you’ll find the band spinning their style around sampled beats, though you still get some angular guitar parts stuttering in the background. Hand claps compliment the stuttering vocal delivery, and if proper volume is reached, you’re going to be bouncing around your room. For me, “Coming and Going” is the heart and soul of the record, not to say bright moments are absent beyond, but this is a record built on electronica, and combined with the soulful crooning of the chorus, you can feel the classic pop seeping through the cracks with hints of oddball programmed sounds subtly creeping in to the track; it’s much like a track you’d expect Hot Chip to throw your way–there’s soul, but there’s also a dance element. It matches well with the closer on Dry Land Is Not a Myth, “Fireworks at Sea.” There’s a wash of electronic atmospherics that coats the song in a sort of fog, but that’s juxtaposed with sprightly guitar licks and a bouncy vocal delivery from Mickey Church. 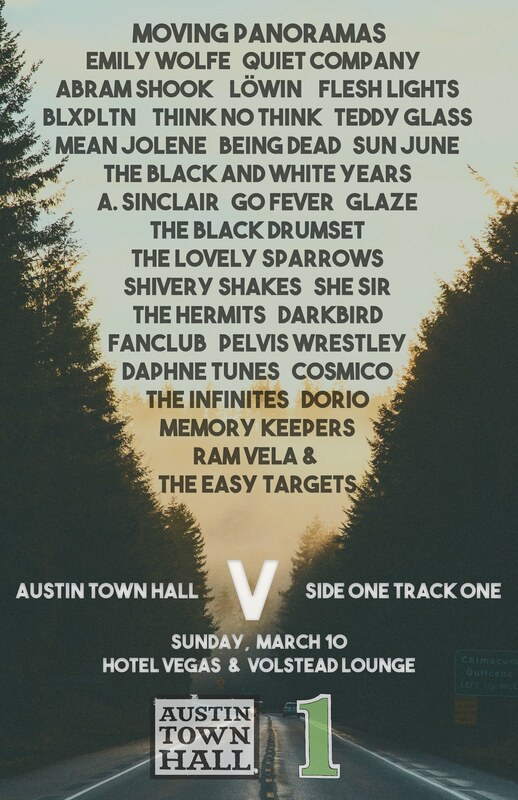 “Get Gone” might be a hit, but these two tracks exemplify the sound of White Arrows when they’re at their best. But, it’s not all about beating you over the head with dance jams; the group also goes into more traditional rock n’ roll territory, only with an electronic bent. “I Can Go” is one such song where the guitar seems to be the focus of the track, rather than the throbbing rhythm from some machine. That being said, it does make the record a bit disjointed in parts, which I blame on the sequencing of the tracks. Thrown somewhere else, this is a fitting track, but following three dance heavy songs, it seems amiss. Still, band’s, especially on their debut, are allowed some missteps, are they not? As a debut, Dry Land Is Not a Myth is quite a statement. It’s an album filled with hooks, both in the songwriting and the vocals. The songs don’t run too long, so you’re not going to feel burdened by redundancy, instead you’ll feel energized as the group provides you with exciting pop jams over and over again. 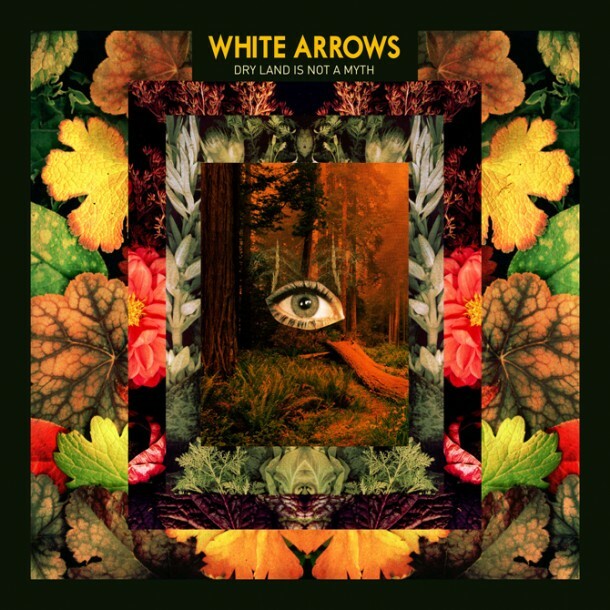 It’s a solid debut, and one that will surely give White Arrows claim to the perfect claim to Summer Album 2012.